Finding just the right gift for the men in your life can be a struggle. 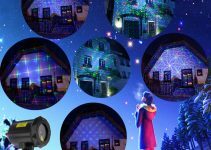 If you’re tired of handing out golf balls and ties, consider one of the unique and memorable gifts listed below. We’ve put together a list of stocking fillers, gadgets and more that would be great for work mates, partners or the men in your family. Not only will the men in your life appreciate your thoughtfulness, they’ll be able to use these gifts on a regular basis and be reminded of holiday joy and of you. This cleverly packaged collection of Burt’s bees natural skin care products for men is an ideal gift. If cold winter winds have your favorite guy struggling with dry, itchy skin, these products will give him a healthy glow. 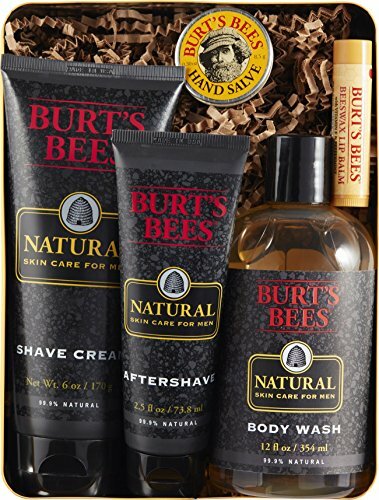 Not only is this a great selection of Burt’s Bees for men, but the combination of shaving cream and body wash makes this decorative tin a great addition to a suitcase or backpack. If you are aiming to get cosmetics as an add-on or gift for a friend, then this is perfect, highly rated in multiple reviews. These products offer natural skin protectants without a lot of unwanted scents or additives. If your favorite fellow has never tried these gentle, non-greasy and low odor products, this is a great introductory gift. This clever stand is easy to assemble, quick to disassemble and will be appreciated for years! This unit is built of Baltic birch plywood, stained espresso, and gives your favorite guys the chance to charge their phones, hang their watch and their keys, and stash their wallet on a hidden shelf at the back of the stand. 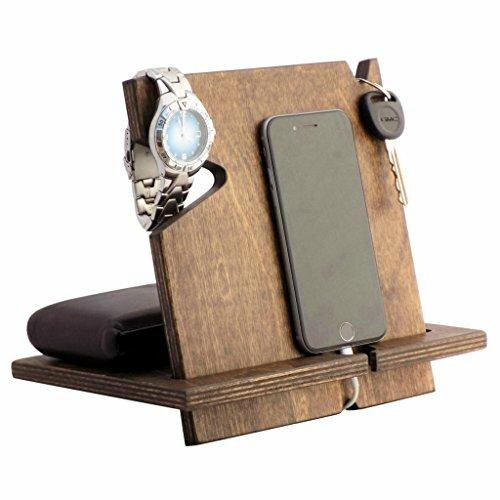 When assembled, this tool provides a place for smartphones and tablets to stand as they charge, so if you’re looking for a gift for the guy who’s always working on their phone, this is a great gift option. The Palmetto Wood Shop iPhone Docking Station will work with any decor and looks great on a desk or a bookshelf. This piece will get a lot of appreciation and use! Beards are back in style, but many young men may not have the best beard care tools in their grooming arsenal. This kit is a wonderful gift for a young man learning to tend his own beard. 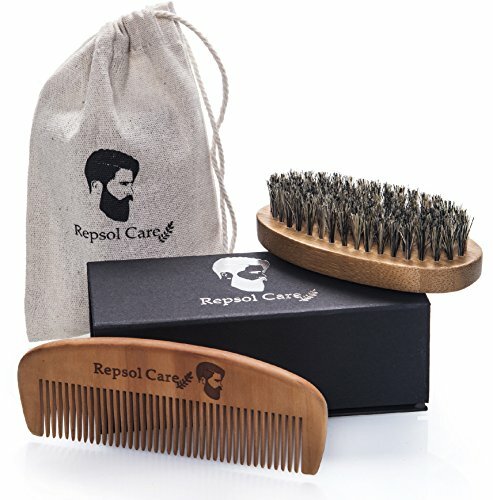 The kit contains both a comb and a boar bristle brush to keep those chin hairs soft and healthy. Additional conditioning is always appreciated as dry skin and beards often go hand in hand; facial dandruff, also known as “beardruff” can be an itchy, miserable experience. Your favorite fellow or hipster friend will appreciate these ideal tools to keep the skin under the beard moist and comfortable and to tame and shape the beard. This kit comes in an elegant box for display or easy storage and will likely see daily use. If you’ve got a barbecue fanatic on your gift list, this clever fork and bottle opener combination is an ideal gift! This clever tool is stainless steel and completely foldable, so there’s no risk of anyone getting injured by those very sharp meat tines. Once folded, all the metal on this tool is tucked into the handle. However, when fully extended, this tool gives you eight inches of reaching power to get into the fire to turn steaks or pick up piping hot brats. You can enjoy delicious barbecue and a cold beer, all thanks to this one well-designed tool. The Tactical Folding BBQ Fork is easy to clean up and will not rust, so this tool will see plenty of use from summer to summer. 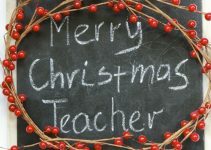 Your gift will come to new appreciation each year! If your favorite guy is a fan of breakfast and cooking, this is an ideal gift choice. This clever tool offers easy to clean non-stick surfaces while cooking both the top and bottom of a breakfast sandwich, the meat choice, the egg and the cheese. With the exception of the electrified base, this entire unit can go into the dishwasher once cooled. 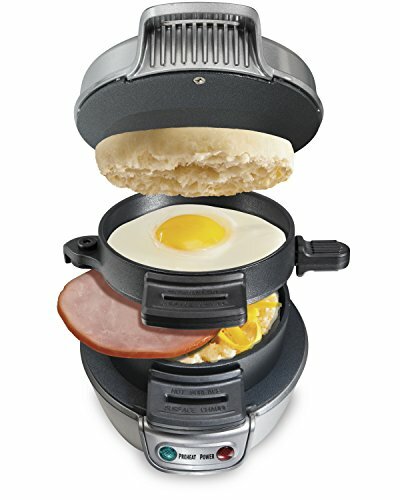 The 25475A is quite small; only 7 inches by 7 inches by 8.8 inches, yet this one machine will cook a hearty breakfast sandwich in under five minutes. In addition to egg and cheese sandwiches, the enclosed recipe book has plenty of unique cooking ideas to play with. Your favorite chef can let their creative side bloom into some delicious sandwiches! 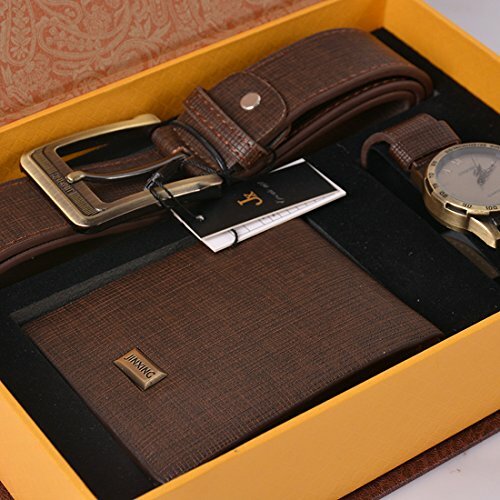 The Souarts gift box features three classic items that every guy needs; a sturdy belt, elegant wallet and handsome wristwatch. This simple and classic gift box offers a lovely presentation of these classic wardrobe pieces. The analog watch runs on battery power and a back-up battery is included with this gift. Each piece is brown for easy coordinating and a pulled together look for your favorite fellow. 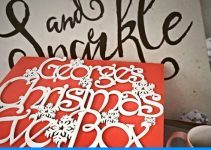 Every item in this gift box will be appreciated and put to good use with you in mind! Possibly one of the most iconic scenes from the entire Star Wars series. If your favorite guy has always been a Star Wars fan, you’ve found the perfect gift! 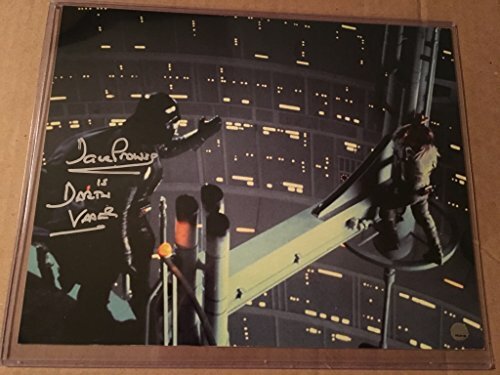 This collectible 08 x 10 inch poster comes with a certificate of authenticity from Steiner Sports and has a Dave Prowse’s signature on the left side of the poster. Dave Prowse played Darth Vader in the first three films. Also featured on the poster is Luke Skywalker. You can almost hear Vader’s crisp military theme as you study this framed poster; a classic and a collectible for years to come. Your favorite sci-fi fan will love this gift! Find a special spot for this rare, signed piece. If you know a guy with a passion for history, you’ve found a great gift! 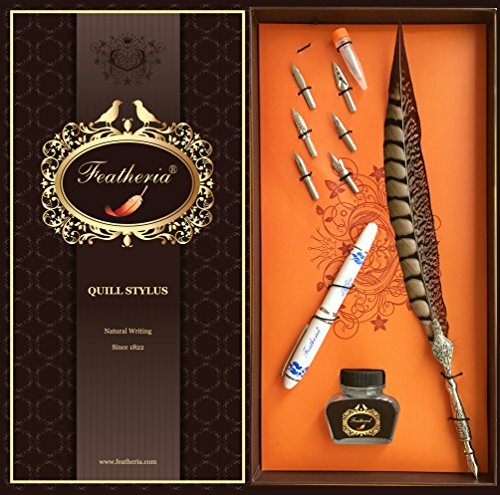 This clever stylus set looks like an old-fashioned quill pen but is designed to work on a touch screen. One option has a simple decorative ceramic handle for cool elegance. The other handle feature a metal grip and feather detail. Both of these “pens” come packaged in an elegant gift box. The stylus tip is ultra sensitive and offers great control. In addition to stylus tips, safe for electronics, you’ll get 7 metal tips for traditional pen and ink writing. A bottle of red ink is also included. Whether your fellow prefers parchment or iPad, this gift is sure to be enjoyed. It’s said that every guy needs a pocket knife, and this is a great way for you to give them a tool they’ll remember! 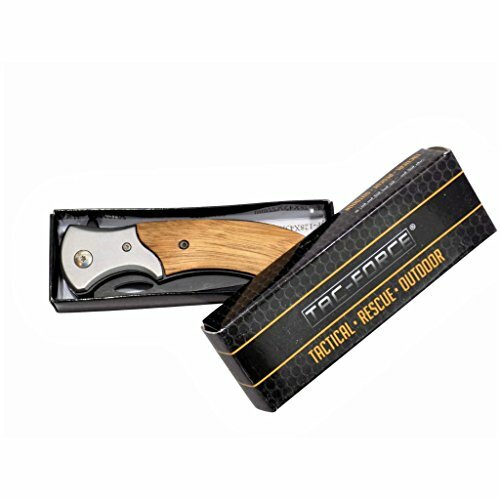 This well-constructed product, offered by the Palmetto Wood Shop, features a stout folding stainless steel blade and a 4.5″ wooden handle that features their name engraved into the wood. 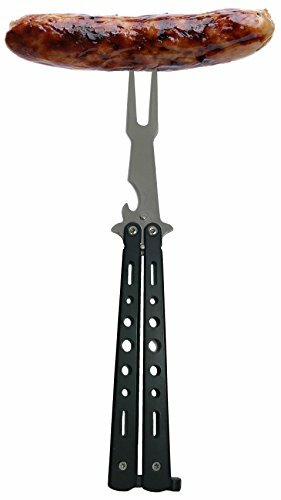 It should be noted that this is a man’s gift and may not be suitable for children; the Tac-Force blade is extremely sharp and has a serrated section as well as a smooth portion, making it even more dangerous. However, an older boy or young adult who’s been properly trained in the handling of pocket knives, as well as any adult male, would really appreciate and utilize this beautiful knife. This would be enjoyed both as a keepsake for an older man or as a right of passage tool for a young man. This very special decanter and rocks glass set is a great pick for a man who knows and enjoys fine spirits. This stoppered decanter is nearly one foot tall and holds 23.75 ounces of whiskey or any preferred spirit. The decanter is nearly six inches wide and serves as a great display for a name or sentiment particular to your favorite fellow. The rocks glasses are beautifully made and feature a bubble in their heavy base. Each glass, as well as the decanter, can be engraved to your preference. Once personalized, your favorite guy can use this not only to store and serve fine whiskey but as a display piece, making this a memorable reminder of your thoughtfulness. Who says men are hard to buy for? Above you’ll find a wonderful variety of products, ideally suited to men of all walks of life. Happy shopping!